Schools are continuing to connect and collaborate together (clusters, CoLs and Kāhui Ako) to address common goals; and focus on children and young people's learning pathways to help them achieve their full potential. This process involves a whole change in learning culture, so that shared goals are achieved within, across and beyond schools/kura, rather than individual school goals being addressed in silos. It's about meeting the needs of all learners across networked communities. In all of these communities, collaborative relationships and partnerships been established and processes for collaborative professional inquiry have been strengthened. Some of the key themes of success include; relationships, collective wisdom and partnerships. In the NZEI video below, Mark Potter Principal, Berhampore School talks about the key areas/phases of collaboration in a CoL - Forming relationships, developing collective purpose, planning for change and collective action, with an emphasis on 'taking time' to do this well. 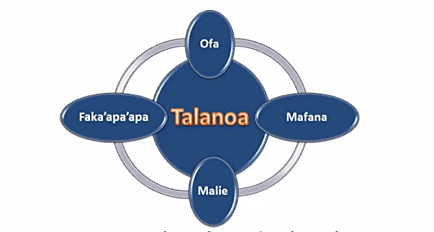 In this Enabling e-Learning snapshot of learning, Collaborative inquiry using Talanoa – A communication process, Porirua East schools share how they have used Talanoa framework and Spirals of Inquiry to collaboratively support their teachers in changing their practice; to raise achievement for target students. This snapshot breaks down the processes, and highlights some early signs of impact for both teachers and students. What benefits does collaborative teaching and learning practice provide for your learners? For teachers? How do you know what the impact of collaborative teaching and learning is on your students? How does your school provide support, time and resources for effective collaboration? If you want to know more about collaborative Inquiry, you can easily catch up with Rebbecca Sweeney in our Webinar recording: What is collaborative inquiry? Part of this original thread, What is collaborative inquiry? The Collaboration framework (CORE Education) also provides some key components to unpack and pātai to address as a self-review tool, when building collaborative culture of change - especially when multiple organisations are involved.